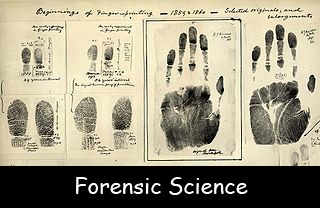 Forensic science is used to solve some criminal matters. It uses a range of sciences. A forensic science technician collects evidences and performs different types of tests to reach a conclusion. The term Forensic has been derived from the Latin word ‘forensis’. Forensic science can be defined as any science applied to the law. Forensic analysis is a very complex process. These technicians examine crime scenes to determine any available physical evidence. Real life forensic science is very much different from fictional televised accounts. It was not actually invented by scientists. Cops are actually credited for the invention of forensics. DNA testing has never been 100% accurate. Deleted computer files are not always gone. They can be recovered. Forensic science is generally used to shed some light on cold cases that were previously declared unsolvable. Even fingerprints are not foolproof. Although every person has a unique set of fingerprints but matching them is a very difficult task, even for an expert. Dental records are actually trustworthy. Victims of fires and explosion are identified by using their dental records. Insects present on a crime scene are reliable indicators of the time of a person’s death. The US Bureau of Labour Statistics is the biggest employer of forensic scientists. These scientists gather evidence and use scientific principles and techniques to make sense of it. The cell nucleus is the best source of genetic material DNA. Many important pieces of information can be gathered from a human skeleton. Gender of a skeleton can be determined from its bone structure. Testing a sample and getting the results is not as easy as shown in films.